Man Utd will reportedly step up their interest in Roma midfielder Lorenzo Pellegrini in January, with the Italian star currently having a €30m release clause in his contract. It’s been a dismal season for the Red Devils thus far, as they continue to languish in seventh place in the Premier League table and sit eight points adrift of the top four. In turn, Jose Mourinho could certainly do with reinforcements in the January transfer window it seems to help salvage something from their season if their current inconsistency continues, and Pellegrini is said to be a target for the Red Devils. As noted by Calciomercato, via the Daily Star, the 22-year-old has emerged as a January target to bolster the United midfield, and he could be available for just €30m, as per the release clause in his current contract. Pellegrini has continued to impress this season, bagging two goals and five assists in 14 appearances for the Giallorossi, as he returned to the Serie A giants last year following an impressive stint at Sassuolo. As he continues to prove his worth at the highest level, it would be no surprise if Roma try to hold on to their prized asset, but interest and a possible bid from Man Utd to meet his clause could complicate matters for them. As a Rome native though, it could be difficult to convince him to leave the Stadio Olimpico, especially given the current plight that Man Utd find themselves in. 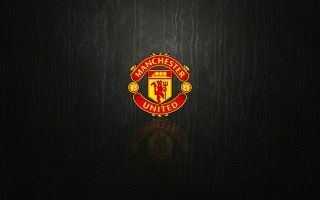 In turn, it remains to be seen if a deal can be done between the relevant parties and if United can give themselves a boost in the second half of the season by strengthening the squad where possible. What that would signify for the future of summer signing Fred though remains to be seen given the similar roles the pair play.